Emilia Clarke aka the “Dame of thrones” is a top-ranked English actress known all over the world for her role in the Game of Thrones series. Her recent resounding successes in the acting and commercial world has made the star a popular international figure that everyone wants to know. While some actresses have managed to keep their private lives away from public consumption, it appears there’s no hiding place for beautiful Emilia whose fame exploded in 2011 with her role as Daenerys Targaryen. Since her big break, the media has been tracking down her every move especially as it concerns her love life. As far as available information goes, Emilia Clarke has never been married but has an interesting dating history. Before we get down to the list, we may want to know her view on women and romantic relationships. 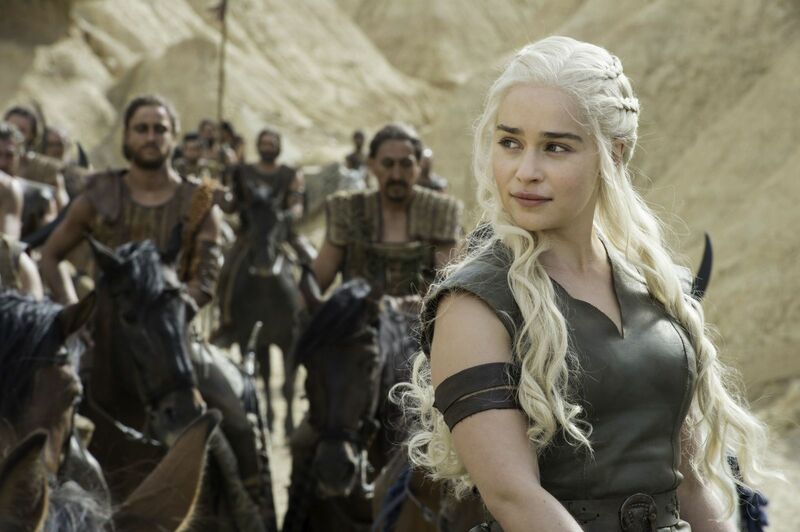 Emilia Clarke has revealed that her role in the most-watched HBO series has enlightened her more on the place of the woman in the modern society. Though the story has a fantastical setting, she considers the circumstances and experiences in the plot to be present in the human society too. In it, she has found expository themes in relation to the worth and place of women in the real world. According to her, playing her role in the series has given her the opportunity to encourage both young girls and women, in general, to aspire to be more than “just somebody’s wife and somebody’s girlfriend”. One of the thrilling points of Emilia’s role in the series is her transition from the fearful girl to a strong, brave and utterly powerful woman. For her female fans, this is what the real world would love to see more of. Regardless of the painful experiences which the character had to go through, she endures all and ultimately emerges bigger and better. The English actress pretty much identifies with her role in the Game of Thrones. Her perception is that while love is not a necessary weakness for women, there is need to borrow the “iron will” of the Daenerys Targaryen character to work on self, have a stand and be independent. Emilia believes women should not be toyed with. At the same time, it is the call of the woman in an abusive sphere to quit the pity party and fight for her psychological freedom. Summing up her point of view as derived from her role in the series, Emilia suggests that it is solely the place of the woman to decide who to share her love with and when to opt out of a toxic relationship. It is not clear if this has been the ruling perception in her dating life but for what is worth, the star has identified herself as a feminist. Proving this, HuffingtonPost in 2017 published an op-ed from the actress on International Women’s day where she stressed and shared her point of view on feminism and gender equality. Emilia Clarke has been involved or romantically linked to at least four good-looking actors; some of whom she worked together with on some projects in the past. Her first publicly known boyfriend was Seth MacFarlane. The two started dating in September 2012 but broke up months later. Seth MacFarlane is famous for his top-rated animated TV series, Family Guy. Being her first and delving into her newfound fame, their relationship had a ton of media attention. The two still maintained a good friendship after the split. After Seth came Cory Michael Smith whom Emilia co-starred with in Breakfast at Tiffany’s Broadway performance at the Cort Theater in 2013. The two kicked off their romance from there but broke up as well. Clarke starred in the 2015 Terminator Genisys alongside Arnold Schwarzenegger and Jai Courtney who soon became her boyfriend. The relationship was also short-lived. It was once rumored that Emilia also dated James Franco but nothing of this has been confirmed. As much as she lives in the public eye, Emilia is not one to share too much details of her love life with the public. She is currently single and focused on building an already intimidating career as an actress. Emilia has an unnamed brother who studied politics. There are no pictures or names to demystify him. However, there was a coincidence with the identity of Australian actor, Jason Clarke. Both actors share the same surname and have worked together in the Terminator Genisys movie.